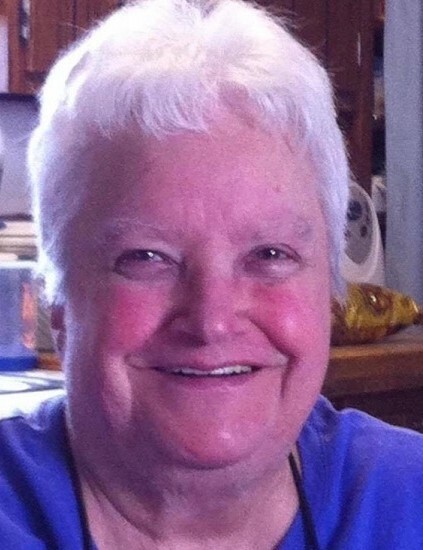 Carol J. Ambrose, 84, of 185 Maple Street, Black River, NY passed away March 17, 2019 at the Carthage Area Hospital surrounded by her loving children. Born on December 6, 1934 in Black River, NY, she was the daughter of the late Charles H. and Viola W. Duell Forbes. She attended Calcium Elementary School and then graduated from Black River High School in 1952. 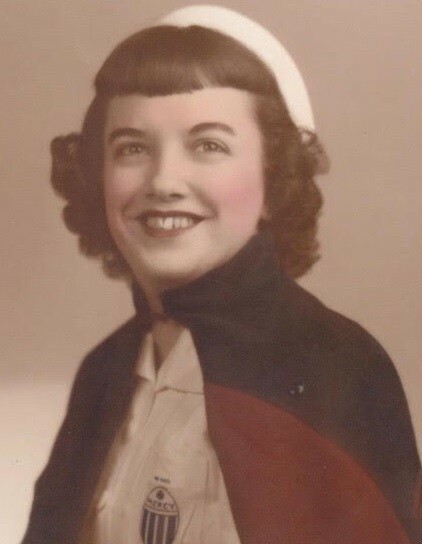 She graduated from Mercy Hospital School of Nursing in 1955. She received Nurse Clinician Training at Community General Hospital in Syracuse, NY in 1973. On July 23, 1955 she married Dennis C. Ambrose at the Black River Methodist Church with the Rev. Vernon C. Nichols officiating. They renewed their wedding vows on the occasion of their 50th Wedding Anniversary, July 23, 2005. The couple resided in Black River. Mrs. Ambrose worked at Mercy Hospital and Madonna Home of Mercy Hospital for over 30 years, retiring in 1989 as Assistant Director of Nursing Service and In-service Instructor. Mr. Ambrose worked for NY Airbrake for 35 years where he was a hydraulic lab tester. He retired in March 1988. Mr. Ambrose passed away March 14, 2012. Mrs. Ambrose was a member of the Mercy Hospital Alumnae Association, the Kamargo Association, and VFW Ladies Auxiliary 7227, Carthage. She was a charter member of the VFW Ladies Auxiliary 5218, Black River where she held many offices including President and Secretary. Carol was also Past President of Mohawk Adirondack Counties Council VFW Ladies Auxiliary. She and her husband received the Black River Citizens Award for work on the Korean War Monument in the village in 2003. She was an exempt member of the Black River Fire Department Ladies Auxiliary. She was a member of the First Baptist Churches, in Carthage, NY and Black River, NY. Mrs. Ambrose was an active bowler for over 20 years. She enjoyed gardening, sewing, knitting, quilting, genealogy research and traveling. She is survived by 5 daughters and 3 sons-in-law, Kathleen M. and Alan C. Beattie, Rodman, NY, Wendy L. and John C. Harvey, Massena, NY, Christy L. and Norman (Bill) Jones, Carthage, NY, Karen L. Ambrose, Black River, NY and Michelle G. Canfield, Oswego, NY, a son and daughter-in-law, Gregory V. and Sharri L. Ambrose, Dell Rapids, S.D., 9 grandchildren, Christine Harvey, Rebecca Harvey, Katie Jones, Casey Jones, Charles Canfield, Andrew Canfield, Joshua Ambrose, Ashley Ambrose and Zachary Ambrose, a sister and brothers-in-law, Jacqueline M. and Richard Griffin, IL, a brother and sister-in-law, Guy D. and Harriett Forbes, Watertown, NY, and several nieces and nephews. Besides her husband, she is preceded in death by her beloved daughter, Sharon Lynn Ambrose (August 19, 1961), 7 sisters: Jeannine E. Perry, C. Lorraine Ambrose, Charmaine J. Kidder, Denise M. Whattam, Janice M. Dwyer, Patricia D. Polston, and C. Suzanne Crowder, 6 brothers, Jean F. Forbes, Gaylord D. Forbes, Dale R. Forbes, Gerald K. Forbes, Dennis M. Forbes, and Michael V. Forbes. Arrangements are with the Bruce Funeral Home, Black River. Friends may call at the funeral Home on Saturday, March 23 from 10 a.m. until Noon. A funeral service will follow the calling hours at Noon, at the funeral home, with Rev. Mary Drake officiating. Burial will follow in the Black River Cemetery. The Ambrose family would like to extend their heartfelt appreciation to the staff at Carthage Area Hospital for their professionalism, special care and all the kindness given to their mother. Donations may be made to the Black River Fire Department or to the Black River Ambulance Squad.